Payroll taxes are federal and state taxes that every employer is required by law to withhold and/or pay on behalf of their employees. Employers are required to withhold state and federal income taxes as well as social security and Medicare taxes from every employee’s’ wages. In addition, employers are required to pay a matching amount of social security and Medicare Taxes for employees as well as paying federal and state unemployment taxes. Federal income tax is withheld by the employer and calculated using the employee’s Form W-4 and withholding tables provided by the IRS. The social security payroll taxes for employers are paid by both the employee and the employer. For 2016, the social security tax rate is 6.2%. Therefore, 6.2% is deducted from the employee’s wages and matched with 6.2% paid by the employer for a total of 12.4% in social security taxes. The wage limit for social security taxes is $118,500 per employee. Medicare taxes are also paid by the employee and employer. The Medicare tax rate for 2016 is 1.45% each. Thus, a total of 2.9% is paid for Medicare taxes. Based on these laws, an employer pays 7.65% in social security and Medicare payroll taxes costs. State unemployment tax rates are determined by individual state governments based on a wage base for each state. Although the state unemployment tax is based on an employee’s salaries and wages, the entire state unemployment tax is paid by the employer. No monies are withheld from an employee’s salary or wages for the state unemployment tax. For 2016, the federal unemployment tax rate (FUTA) is 6.0%. This applies to the first $7,000 the employer pays to each employee as wages during the year. The $7,000 is the federal wage base. Your state wage base may be different. Generally, you can take a credit against your FUTA tax for amounts you paid into state unemployment funds. The federal unemployment tax is a payroll tax for employers that is paid entirely by the employer. The employer’s history of claims. Workers’ Compensation is administered at the state government level and employers should check with his or her individual state regarding the rate for this payroll cost. 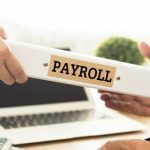 An employer determines the type of payroll tax benefits that are offered. For example, Company A may pay employees two weeks of paid vacation after five years of service while Company B pays two weeks of paid vacation after ten years of service. 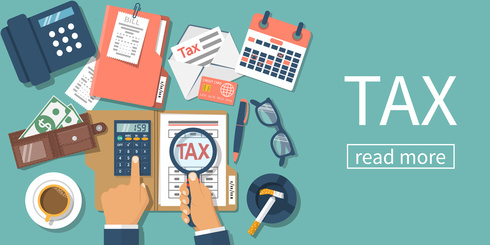 The laws for payroll taxes for employers can be extremely confusing for the average citizen. 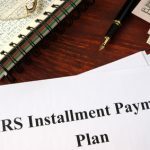 When a business has unpaid payroll employment taxes, the IRS will seek to satisfy those debts from the business assets. 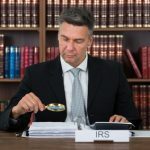 If the business cannot pay the taxes, the IRS will attempt to find someone whom the assessment of the Trust Fund Recovery Penalty can be made. 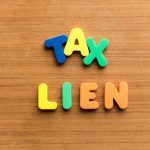 If you find yourself in a bind understanding the laws or if you fall behind in payment of your payroll taxes and the IRS is calling, the Law Offices of Nick Nemeth are here for you. 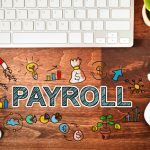 They possess the knowledge and expertise of payroll taxes for employers and the laws associated with such. Give them a call at (972) 734-1171 and let them help you! 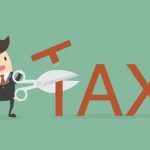 A “Reasonable Cause” for IRS Penalty Abatement: What Does it Mean? Best choice possible. Great attorney. And the staff there are amazing. From the front desk to the back of the back office they are professional, knowledgeable, and compassionate. We enjoyed working with Nick and his staff. They are very professional, courteous and timely. The main thing I appreciate about Nick is that he will tell you upfront whether or not he can help you. While our situation was unique to us--we were not able to get much relief from the IRS. However, Nick was able to help us manage our way through the extremely untimely, inefficient, and non-compassionate IRS. We are very thankful for Nick's help with this process. There is no way we would have been able to figure out the IRS process on our own. If you think you can do it on your own--good luck--but I would recommend giving Nick a call. NIck and his team were very helpful in resolving an ongoing issue with the IRS. The team was great at keeping me current on all correspondence and brought a long outstanding issue to a quick and equitable close. Highly recommend them. Every case is different. Similar results may not be obtained in your case. Past performance is no guarantee of future results. Principal office in dallas, texas.